Livermore CA – The Livermore Dryer Vent Cleaning Wizard appreciates the referrals and positive reviews from happy customers who rate his service “excellent” in all categories. Customers are happy to fill out the survey cards to tell him how much they appreciate his dedication to excellence. Dryer Vent Wizard (http://www.californiadryerguy.com/) encourages consumers to have a dryer vent inspection and service to ensure dryer safety and efficiency. 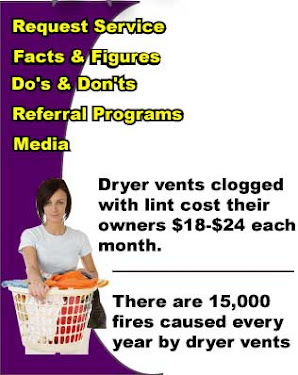 Over 17,000 dryer fires occur annually, resulting in nearly $200 Million in property damages. Poorly vented dryers also cost substantially more money to operate. Service by the Wizard minimizes the risk of a dryer fire while promoting energy savings and maximizing dryer performance. 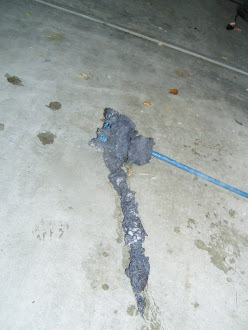 Increased drying time is the most common indicator of the need for immediate dryer vent cleaning service. Rarely is it ever a sign of aging or wear. Even older clothes dryers should be capable of drying a load of laundry in less than one hour. James Smith takes great pride in his work. He has gone the extra mile to further his education by becoming CSIA Certified in dryer exhaust services and he has a contractor license #943017. James provides dryer vent cleaning, repair and installation services for homes and businesses in the Livermore area. Visit http://www.livermoredryerventcleaning.com to learn more.